The Royal Society for Public Health (RSPH), which is soon to establish a Gambling Health Alliance (GHA), welcomes today’s (7 January 2019) announcement from the Gambling Commission of new rules for online operators to make gambling fairer and safer. Currently online operators have 72 hours to carry out age verification checks. The new rules, which come into force on 7 May 2019, aim to protect children from gambling harm by ensuring operators verify customer age before they can deposit funds into an account or gamble with either their own money or a free bet bonus. The Health on the High Street report published by RSPH highlights young people face an unprecedented level of exposure to gambling, with over 400,000 11-16 year olds spending their own money gambling each week. The Commission is also calling for customers to be age verified before they can access free-to-play versions of gambling games online and for free-to-play games to be made unavailable to children. 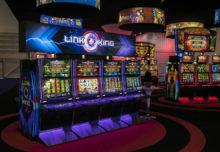 Shirley Cramer CBE, Chief Executive of RSPH, said: “The new rules which require operators to check someone’s age before they gamble, and not after, are a welcome step in the right direction when protecting our children and young people from exposure to gambling and its related harms. With 18% of the population gambling online, online operators have a duty of care to protect all customers, particularly those most vulnerable, and must step up and implement these new rules as a matter of urgency. In 2019 RSPH will establish a Gambling Health Alliance (GHA) with the support of GambleAware. Undertake periodic surveys and polling to inform GHA campaigns to increase awareness of the health harms from gambling.